First released as a bonus episode, this is an interview I was invited to do with creators of the audiodrama THE DIARIST, Donna and Beth. We talk mental health treatment in the 50s, women’s rights, and Beth’s dog pops in for a visit. 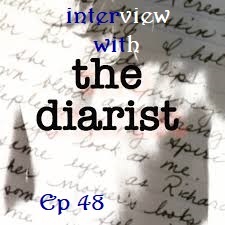 If you haven’t listened to THE DIARIST yet, do it! It’s well-written, well-acted, and very engaging.